Mast is now back where it belongs and I will finish off the remainder of rigging this weekend along with a raft of other jobs. My two 'Giant' 130AH AGM house batteries arrived today and I also picked up my VMax AGM 110AH dual start/deep cycle form a local supplier. 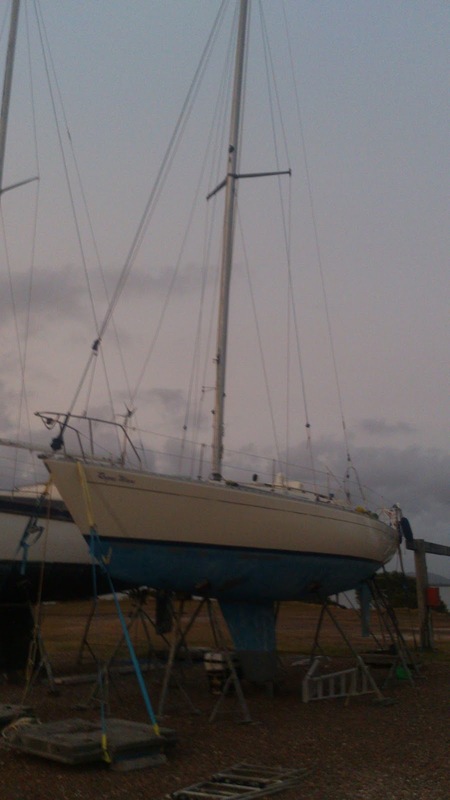 The Rutland 914i Wind Generator and solar panel should keep them topped up nicely..
Splash back is scheduled for Tues high tide and then I will hole up in a marina to tune the rig and complete the prep for the shakedown from Port Stephens to Newcastle with clearance planned for 03 Mar ....weather pending. Wish you well for the new adventure. Safe trip across the Tasman and I will keep an eye on you during the race.